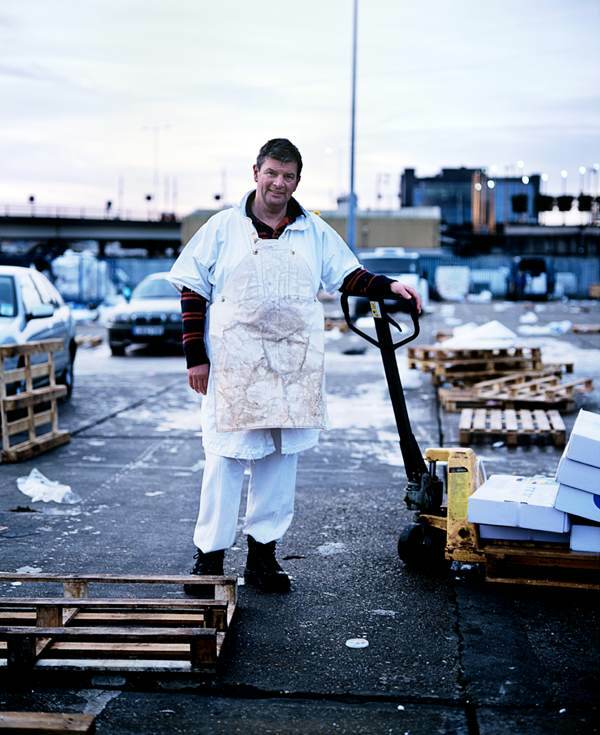 The fish porters of Billingsgate Market have been abolished. 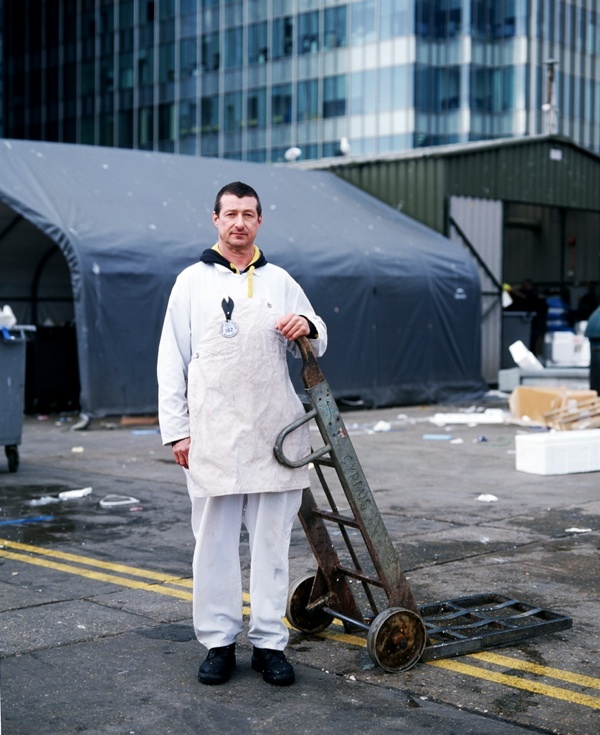 On 28th April this year, a centuries-old way of life came to an end as the porters who have been in existence since Billingsgate started trading in 1699 had their licences withdrawn by the City of London Corporation. 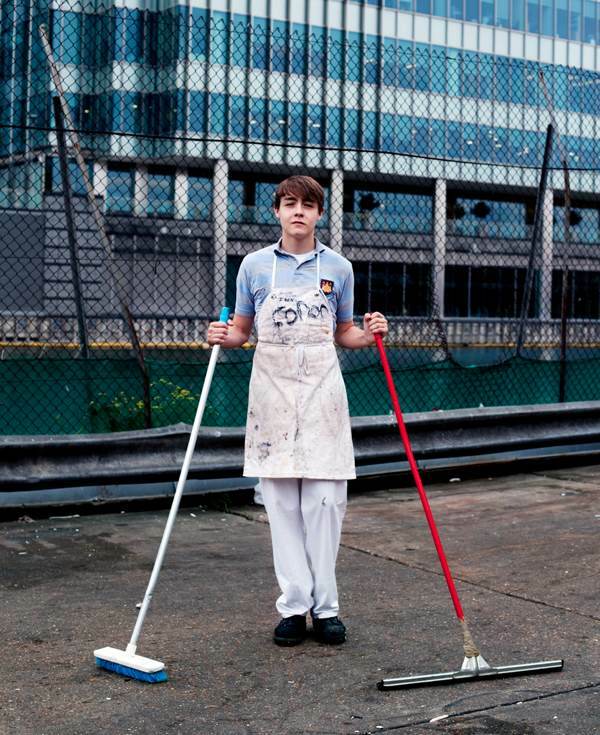 Long-established rights and working practises – and a vibrant culture possessing its own language and code of behaviour handed down for generations – were all swept away overnight to be replaced by cheaper casual labour. Thus, a cut in economic cost was achieved through an increase in human cost by degrading the workforce at the market. 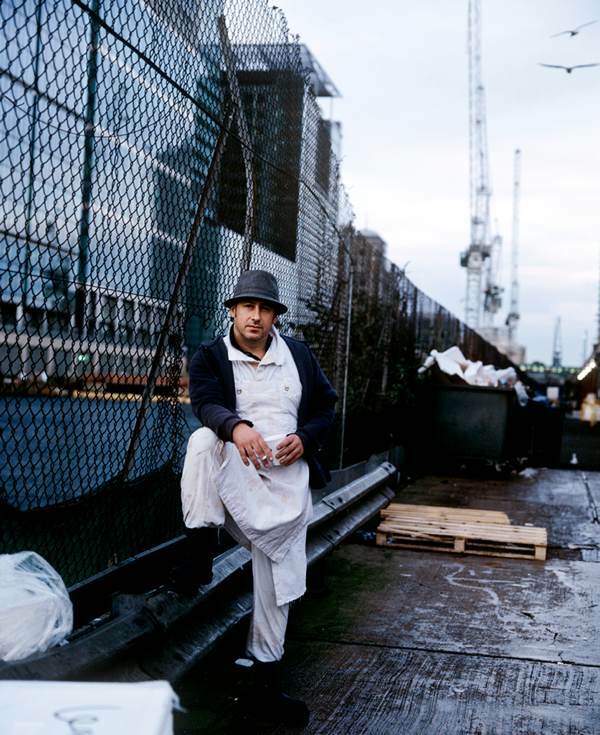 The City recognised the potential value of the land occupied by the Billingsgate fish market at the foot of the Canary Wharf towers, and the abolition of the porters was their first step towards moving it out and redeveloping the site. 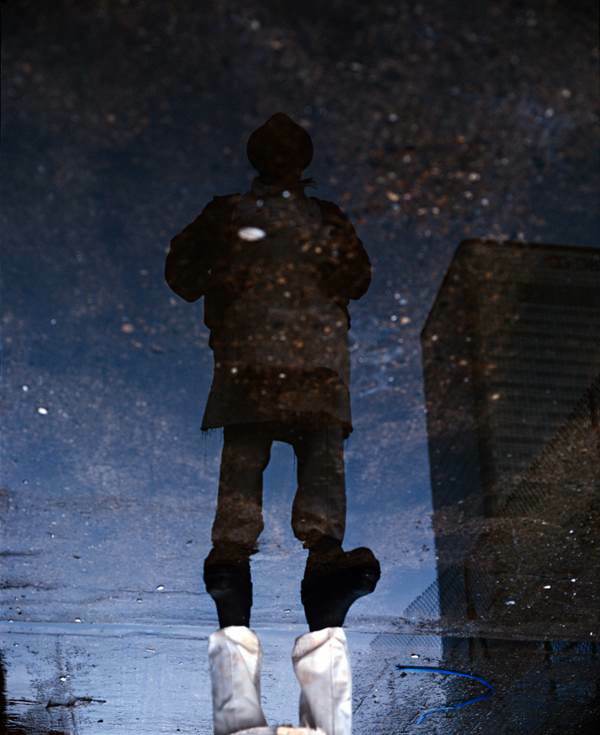 While the news media all but passed this story by, photographer Claudia Leisinger took the brave initiative herself to be down at the market continuously throughout the last winter, documenting the last days of this historic endeavour, and taking these tender portraits of the porters in the dawn, which record the plain human dignity they have shown as their livelihood and identity were taken from them . 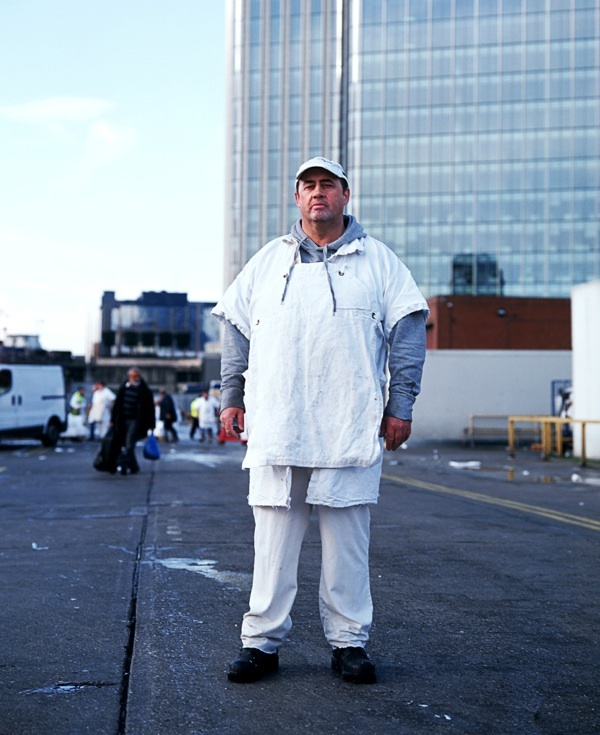 “My interest in the Billingsgate porters’ story stems from a fascination with the disappearance of manual labour, work generally considered menial by our society, yet carried out with a great deal of pride and passion by those small communities involved.” Claudia told me, and it is to her credit that in a moment of such vulnerability these men trusted her to be their witness for posterity. Bradley Holmes, porter for twenty years. Nick Wilson, porter for twelve years. 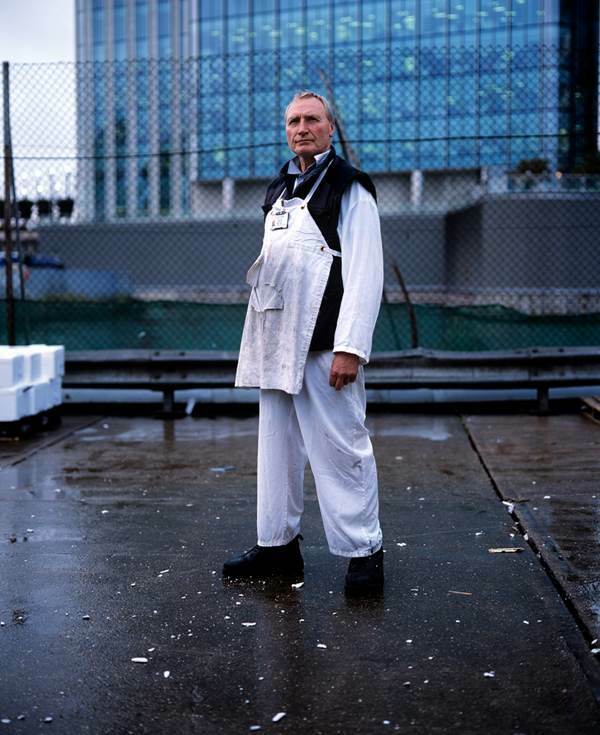 Micky Durrell, porter for forty-five years. Jeff Willis, porter for twenty-five years. Gary Simmons, porter for thirty-three years. Dave Bates, porter for twenty-two years. Three generations – Edwin Singers, porter for fifty-three years, with his son, Leigh Singers, porter, and grandson, Brett Singers, porter. Steven Black, porter for twenty years. 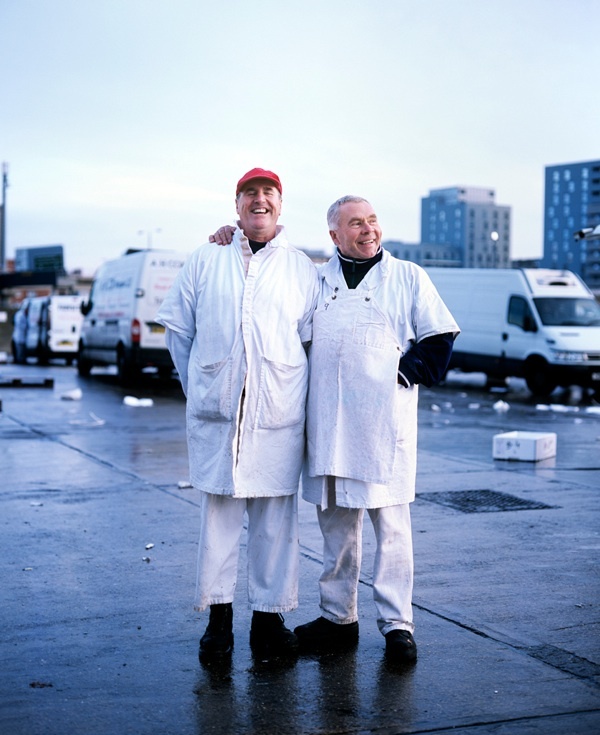 Tony Mitchell & Steve Martin, both porters for over thirty-two years. Martin Bicker, porter for twenty-four years. Andy Clarke, porter for two years. Laurie Bellamy, porter for thirty-one years. Gary Durden, porter for thirty-one years. Jack Preston, porter for two years. Dicky Barrott, porter for twenty years. Alan Downing, porter for forty-five years, with his grandson Sam who comes down on Saturdays. 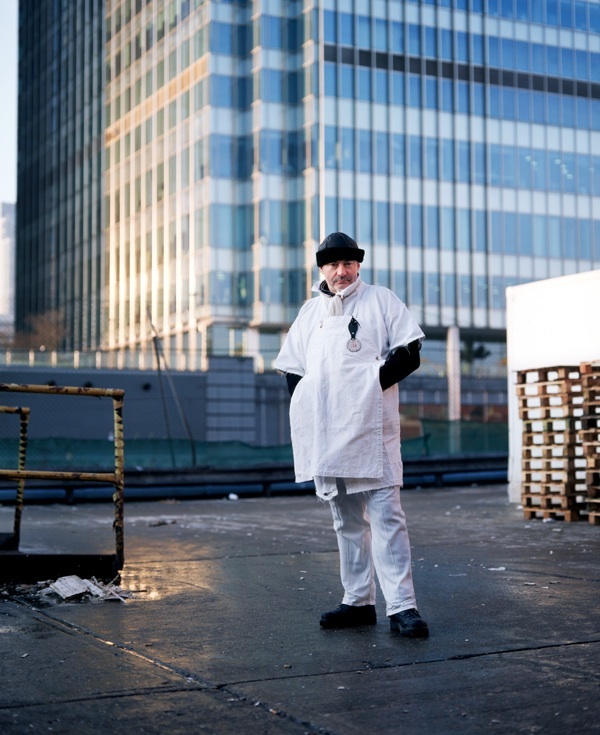 Dave Auldis, porter for six years. 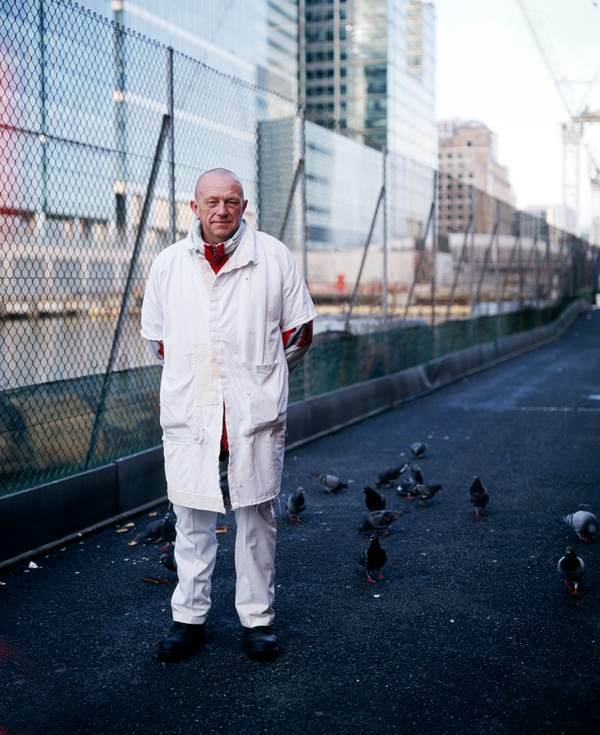 Colin Walker, porter for forty-six years. Brett Singers, shopboy for three years. Bobby Jones, porter for thirty years. Basil Wraite, porter for thirty-one years. 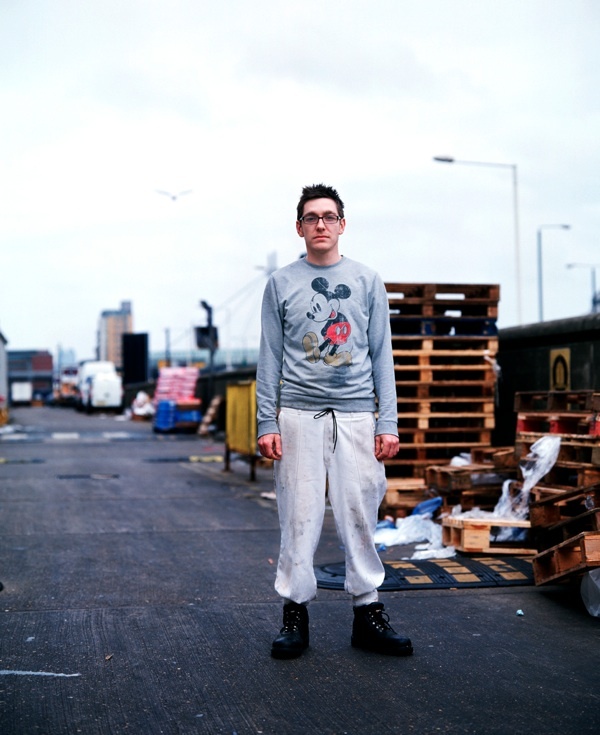 Steve Sheet, porter for fifteen years. Steve Jones, porter for thirty years. Greg Jacobs, porter for thirty-two years. 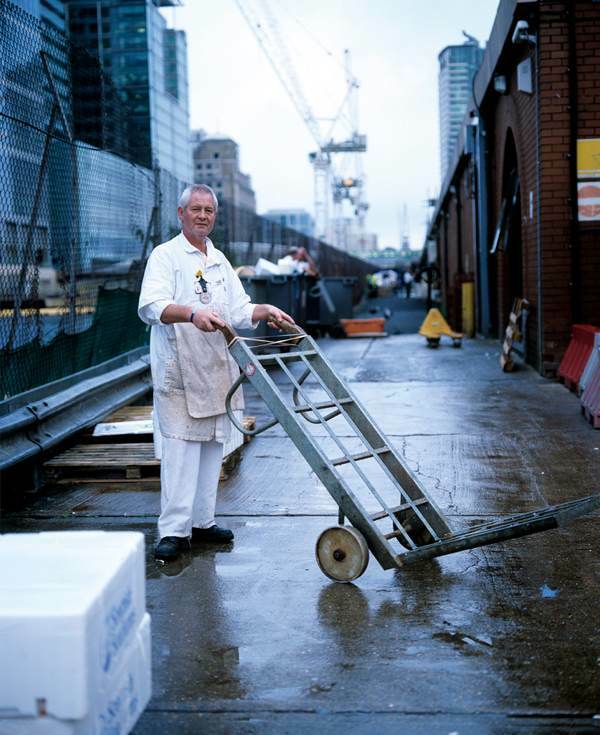 Chris Gill, porter for thirty-two years. How sad. Thanks for the lovely photos and piece. Shocked to know that a way of life that’s been going on for more than 300 years, and often seems to have run in the family, has been wiped out at a stroke. Thank you, Claudia Leisinger and Gentle Author for this record. A staggering post. I can’t believe this hasn’t been more widely reported. Here in UK PLC we now seem to see the cost of everything and the value of nothing and repay loyalty with contempt. It’s so short sighted too,. The company works towards it’s own bankruptsy. When every job is performed by the lowest paid who will buy their goods and services? Just read your article. 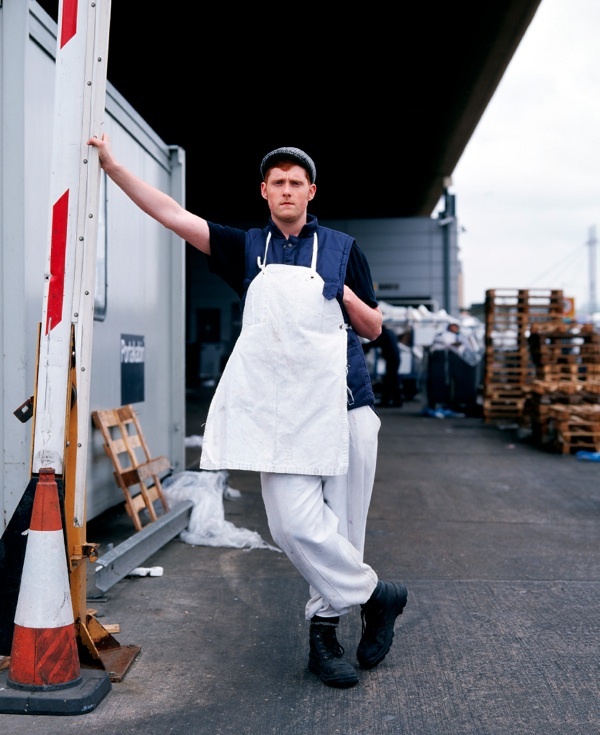 Thanks for highlighting the Billingsgate Porters struggle with the Merchants and City of London Corporation. As i said on the day the C o L C are too rich and powerful and the land that Billingsgate sits on too valuable. I would like to know if the C oL C have ever borrowed upwards of 2.5 million pounds or more to an institution so that said institution could get rid of it’s employees? Because that is exactly what happened to the once proud and for the majority hard working Billingsgate Fish Porters. We were made redundant but our jobs are still there. I once had an assurance from a Mr Boleat , from the C oL C, that the termination of the bye-laws and therefore the termination of our badges would not affect our employment in Billingsgate Market. He may have been right in that respect but the 2.5 million pound his organisation borrowed the Merchants of Billingsgate Market certainly did. The Porters in Billingsgate never cost the C o L C a penny so why did they lend that amount of money? You normally go to a bank to lend money, don’t you? Have the C oL C got a hidden agenda? Was getting rid of the Porters the first phase in this agenda? Once again many thanks for your support. 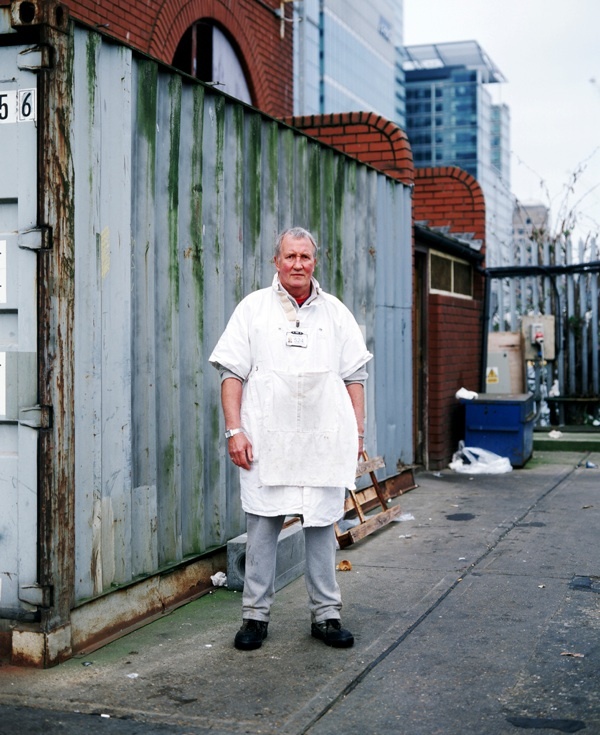 Sheldon Davies badge No 80, 31 years in Billingsgate Fishmarket. A beautiful and sad story written on the faces of these caring men. These portraits tell a wonderful story, silently speaking out knowing that nothing will change their individual and collective fate. A way of life is sold at to high a price. Beautifully written and photographed. All too sad. I would have never known this was happening if it weren’t for this piece. Thank you, even though it makes the day dark for me. Better to know than to pass in ignorance. I am proud to be the son of Charlie Flood market porter who served the market for fifty years . I never had the honour of working amongst you all . 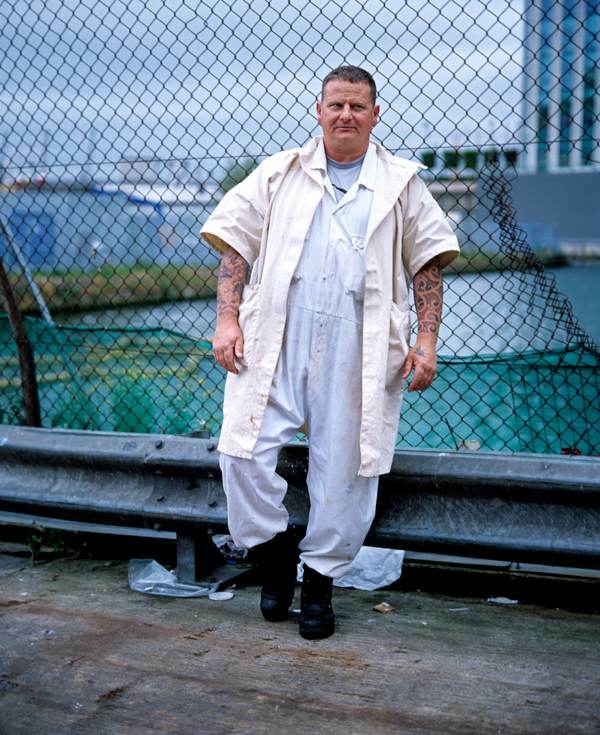 After the war the porters got together and worked for nothing to get the mark et back on its feet after that they got paid in fish.They never complained they thought they were lucky to still be here ,this was the east end. Still have bobbin hat sorry lads me mum would’nt let me wear it even if it was the only place I ever wanted to work. Good luck and God bless. Be lucky lads. Fancy a French Canadian girlfriend? Very moving. Thank you to Claudia for taking these portraits. I last worked in the market in 1986 as a salesman for J. Haywoods. I wanted better for my family but there hasn’t been a day that I haven’t missed the people. Your pictures bring back so many memories that I thank you for. I worked here, at the new Billingsgate as it was then called when it was first opened, as a waitress cooking and serving Fish and chips to announce the move from the old Billingsgate in Lower Thames street, which had been there for many years My Dad delivered to all London Markets before and after the 2nd WW by Horse n cart. 30 years ago when this market was moved it was the beginning of the rapid decline of all things typically London, as money became the most important word you could in the city, I’m not talking Stock market, Lloyds Insurance etc they had all been earning for years before. The realization that there was large profits to be had by foreign investors buying in to our past and Heritage, therefore so much has been pulled down because to these people, its about money and land, not the buildings the people or the history that made this country the way is was, as they do not have a connection to it, so lets pull it down build ugly monstroserties, that we can get a huge profit from, we don’t have to look at it or live in it so what matter? Its so sad that a way of life can be swept away without so much as a by or leave. I think that Boris Johnson has started to behave like that, with the wool exchange being given the go ahead for development, and there are only so many shopping areas that you can go to and spend money in one week, especially as they are all clones of each other, except that some kind and gracious soul who thinks he/she has done our people a huge enlightened favour and has save a tiny piece of 300 year old wall for us all to look at and remember our past. Erosion and erasion of our ways of life and living is not development or progress, its decimation of our culture. It’s always about money. Never mind the tradition…MONEY………. Such a shame. Have been meaning to see if anybody knows the Bates (think thats the correct spelling) family. Am trying to trace my father William Squires (Bill) relatives. Sadly my dad passed away in dec 2011. His mother was Rosa Rowley and i believe he had a relative called Franie who was married to a mr bates. please email me sandrastephens@live.co.uk if you can help. Sad to see another tradition disappear. We feel for the porters and have told many people about their plight. We trust they have found other employment. A tradition like that and £400 per week wage isnt a lot of money to keep tradition alive. 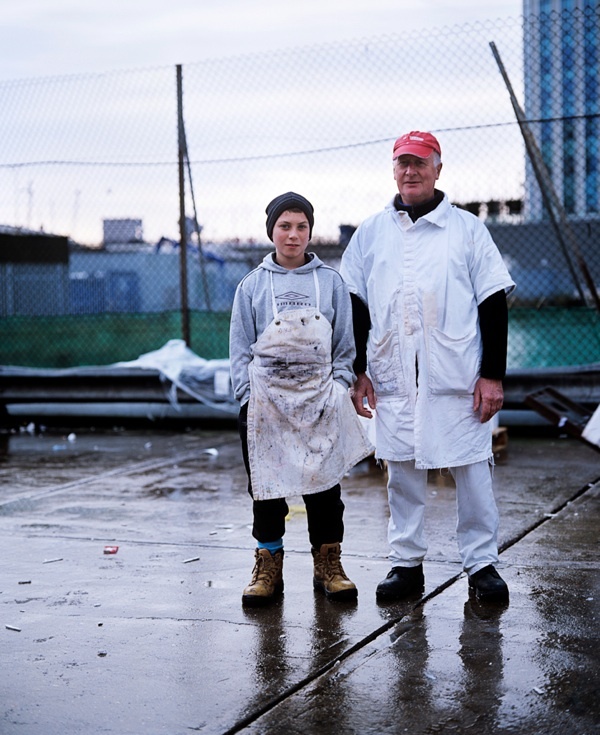 Just read the article about the Billingsgate Fishporters. Absolutely disgusting how they were treated. The City of London Corporation should hang their heads in shame. They , of all people , should be doing all they can to uphold the history and traditions of all things London. 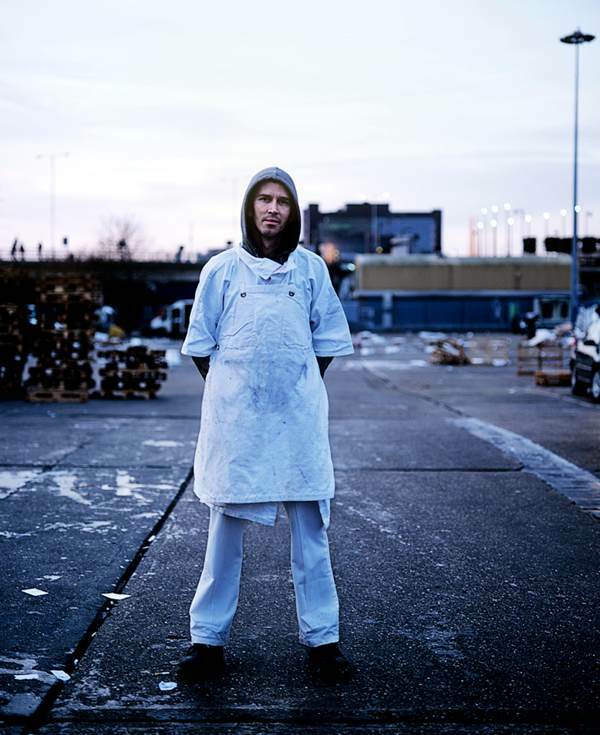 And not to borrow the fish merchants of Billingsgate £2.5 million to put one hundred or so Fishporters out of work. Did their actions have anything to do with the up and coming cross rail station being built right outside the porters changing room? And why haven’t the CoLC kicked out one of their tenants ? A one Mr Roger Barton who was recently fined over £10,000 for selling fish unfit for human consumption. His THIRD such conviction. This whole tail smells very fishy to me. Hope the Fishporters who lost their jobs go on to better things . I knew the market was moving, but didn’t realise that the fish porters were being signed-off. My grandfather worked there as a fish porter between 1870 and 1920. He would be turning in his grave to know that porters were no longer wanted there. What a sad end to such a proud tradition. 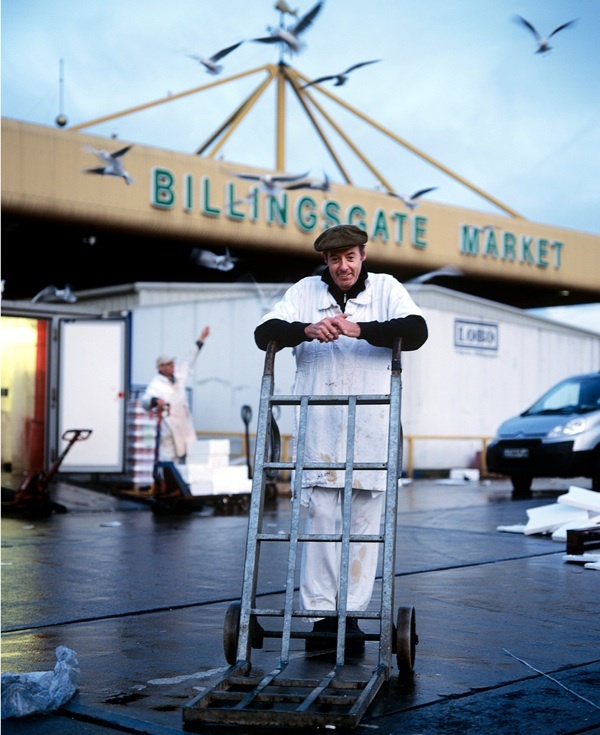 Surfing the network tonight, looking for just one item relating to Billingsgate Fish market in the 1960′s my heart sank as I again re-read the ousting of Billingsgate Porters from the “New Market”. Bought a couple of old porters tags on the net, any ideas how to trace who they were issued to? I have a genuine porters ‘bobbin hat ‘ probably 19century in good condition . Have you any idea who would be interested in buying it from me. 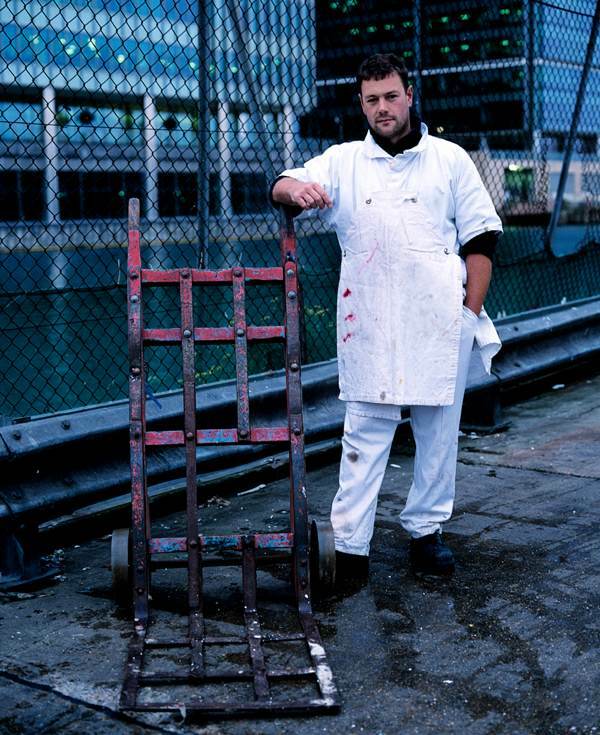 Recommend the documentary ‘The London Markets: Inside Billingsgate Fishmarket’, which covers the rich history of Billingsgate, the work and regulations of the Porters, and the nefarious fish sellers such as the turncoat Roger, who although he started as a porter, was part of their demise. Good luck fellas, you’re victims of Boris’s knowking the price of everything, and the value of nothing. Where will our children and grandchildren find decent work? worked in the old market as a buyer from 1968/1977 if you still have the bobbin hat ann Mansfield or anyone else for that matter I would be interested. My Grandad Albert Edward Baxter was borne and raised in the East End and worked at Billingsgate Fish Market along with my Uncle and his Brother Fred. Up to 1954. He was a Porter for 20 years and wore that flat hat ! Uncle Fred (Baxter) was also one of George and Billie Walker’s Trainers. If anyone recolects my Grandad or his Brother Fred do let me know. Its sad to lose Tubby Isaacs and to see the old East End Disapear – I loved going down the Lane as a young girl with my older cousins and see the animals at Club Row. Change is NOT ALWAYS for the better. 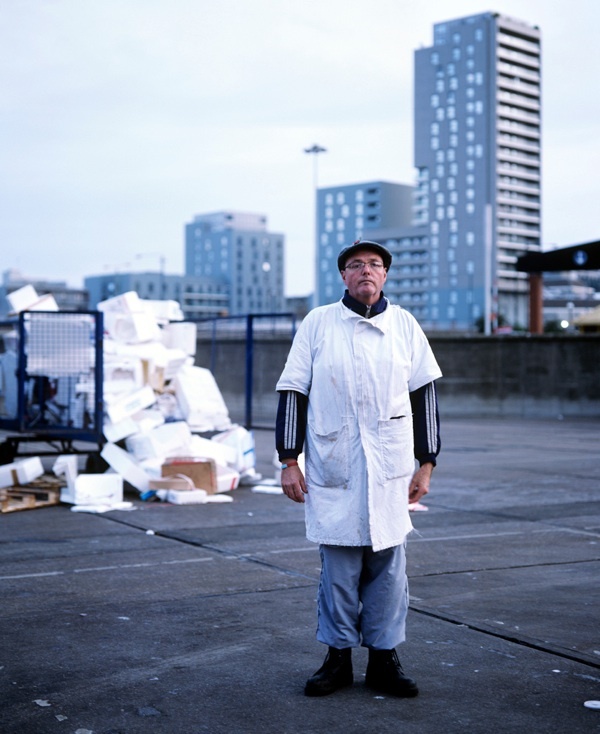 The BBC programme was fascinating and these photos and the story of the plight of the Billingsgate Porters has really “touched” (if that’s the right word) me. Does everything have to be sacrificed for cheaper labour? These men deserved to keep their job security and traditions for longer. Visited the market recently – starts at 3am now (whereas previously porters could only out shore fish at 5am) and is really a glorified retail operation for those that can be bothered to get up early. Nothing like the old days…. The land that the site is situated on must be worth £100s of millions. Perhaps the greatest irony is that once again the City Financial district is pushing this market out again, 30 odd years after the old market was moved mainly because the real estate around The Monument/Lower Thames Street made for offices for the City, etc. My dad was a porter at the old market for the likes of Lou Hart, Vango and Gorman and Morcks in the 1960s and early 1970s before going into retail himself. He left the game entirely in 1999. Neither my brother or me were “encouraged” to follow in his footsteps – thank god I didn’t (which is sad I know but true). Its a shame to see more tradition and livelihoods being made redundant just to fill some one else,s wallets at the cost of others. Message to John Flood: Grandson of Charlie Flood. Did Charlie become a market constable and retire in the middle 80′s? 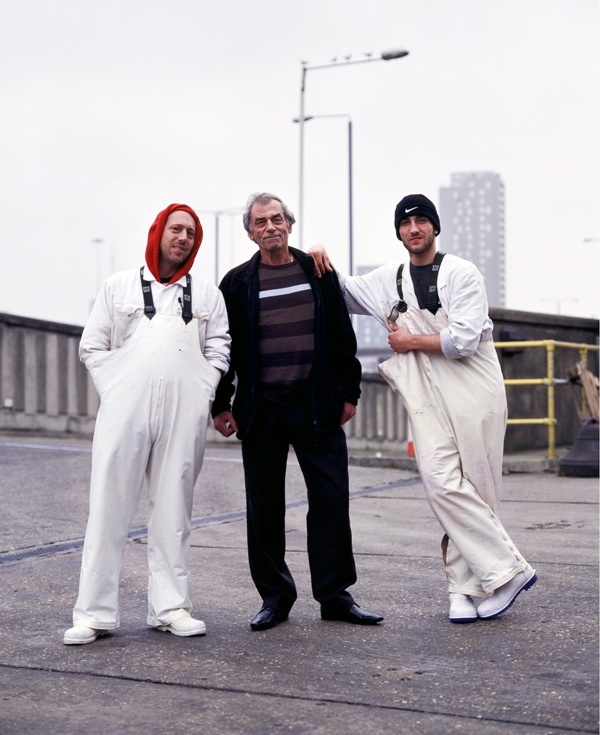 I worked there for the Corporation and just before Charlie retired we had a photo taken of myself and Charlie and a Fish Porter, I never got to see this photo..if you have seen it would you be kind enough to let me know please. Hi everyone, I’m trying to locate any porters or merchants that may have worked with my late Uncle Harry Williamson. We are researching our family history and would like to know more of the life my uncle worked in. 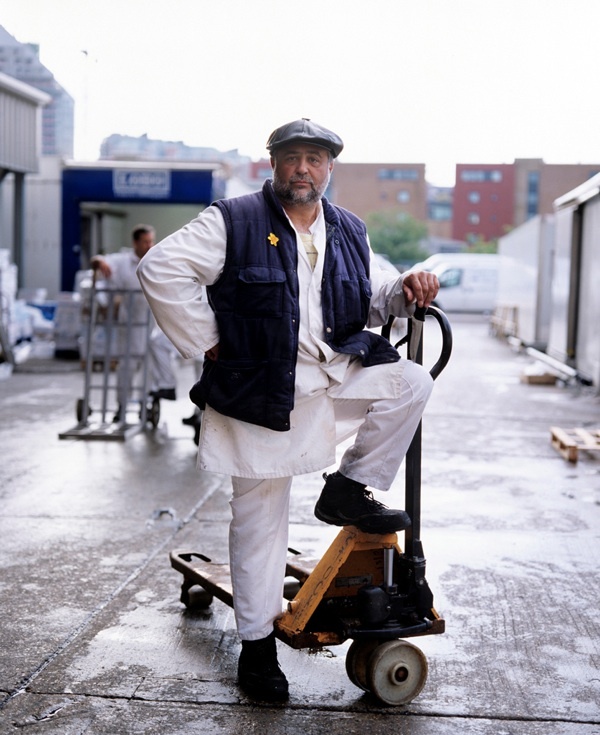 If any old (original) Market porters are still around, PLEASE contact me….. 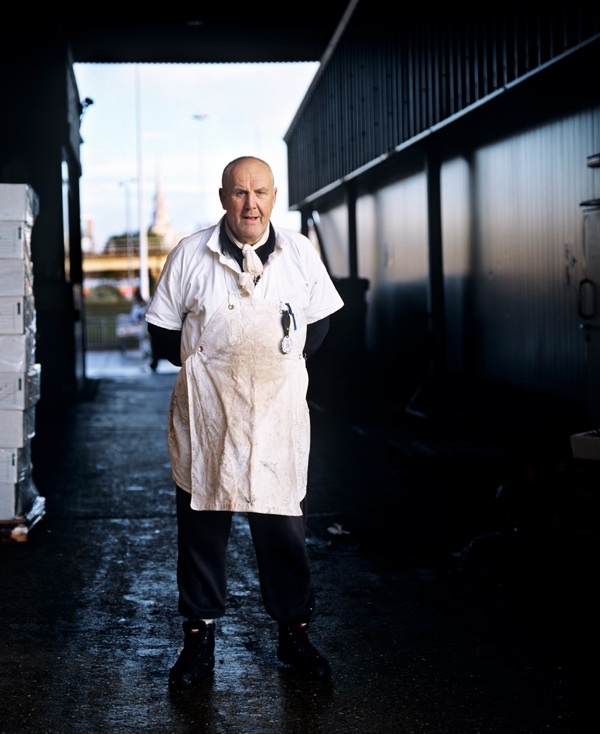 I was a buyer at Billingsgate from the 1980s and although losing traditions is always emotionally traumatising I do believe you have to be realistic. My very vivid memories of some porters of the market was that they were wildly overpaid, often earning vast amounts above their employers or clients. Also their attitude towards delivering the fish beggar education belief on occasions. Polystyrene fish boxes would often be found smashed in the vans where they had been thrown, or left toppled, unbalanced and fallen to the ground. 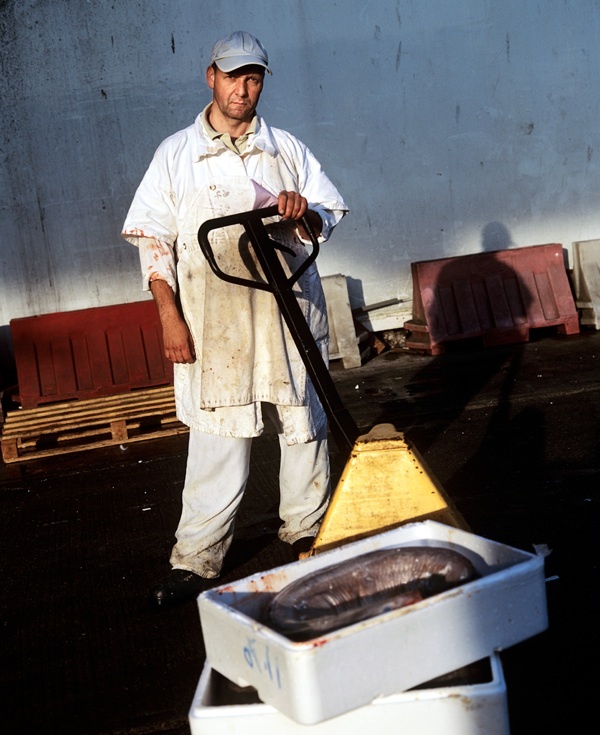 A halibut (15kg) was most memorable when found unboxed uncovered in the height of summer. If tipping was not channelled at the busiest periods of Christmas and Easter you could be waiting until the porters decided when you took your turn. Often porters would be found with barrows of fish awaiting delivery standing together nattering. If the private sector had been involved this attitude would never have been tolerated. The fish porters never stood a chance against the conglomerates as the miners and others have shown to date. So I think it was a case for the Billingsgate porters of ‘ enjoy it whilst it lasted’. 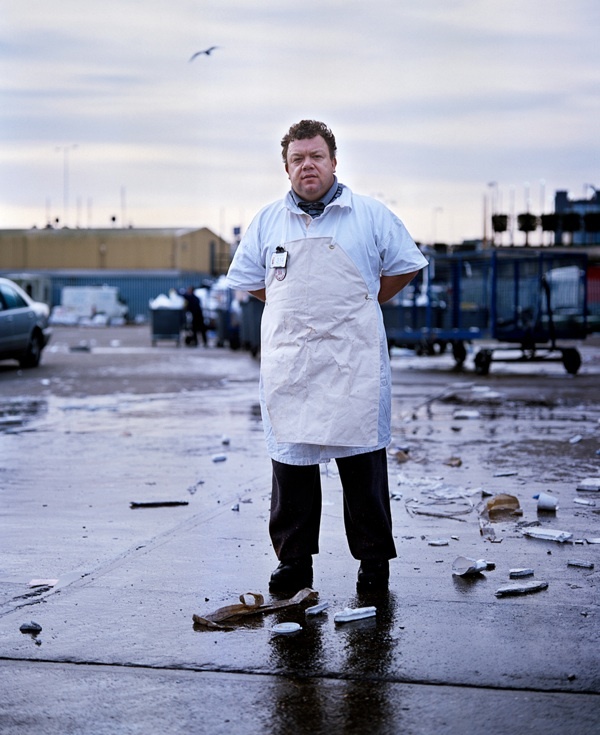 End of an era and a very proud tradition thrown away like confetti, Shame on London you have lost the loyalty of many a proud porter at Billingsgate and of many customers who remember the good times. 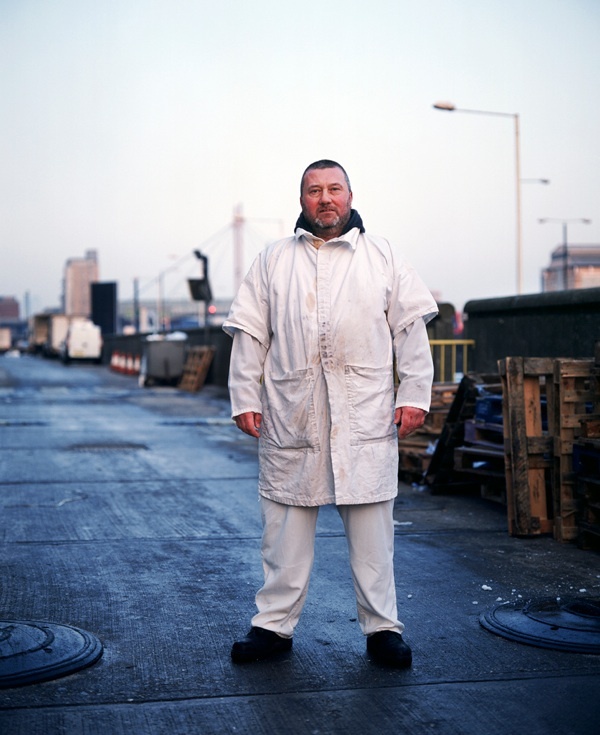 Is Chris Gill still working as a fish porter at Billingsgate Fish Markets or has he changed jobs and moved on ? Merry Christmas to all at Billingsgate Fish Markets have a great festive season and a Safe New Year to all for 2017. I didn’t realise this had happened, another tradition and ‘taste’ of London lost, likewise Spitalfields, all due to money. Again I am reaching out to anyone who may know of anyone who worked with, for or just knew Harry Williamson. I am trying to find out more about his life as a fish trader as I was to young to remember him whilst he was alive. If you knew him or know anyone who who did can you please leave a message on this site and I will contact you thereafter. I understand it’s a kind shot but I have to start somewhere and this was the trade he worked in and loved all his life. As someone who had worked in billingsgate for a number of years as a shopboy/porter/salesman i was disgusted at the treatment meted out to the porters. But please dont just blame t c.o.l. it is something the merchants have always wanted. I can only send my heartfelt feelings to all the lads old and new that are still working at the gate.Im sure you wore your badge with pride i know i did. I have no history or experience with the market, or the guys who worked there. I have been looking back on the UK in the 50s and 60s via the films produced by the Rank organisation [ and others].Looking to the future with hope and excitement, whilst valueing the maintainance of traditions and the old. It’s so sad to see the eradication of the traditional, and the peoples lives trampled on in the mad rush for money. London, in particular, where property prices have balooned to such monstrous levels, that only crooked russian/ saudi/ fellow travellers oligarchs/ corporations can play. Centuries of invaluable, society benefitting work and customs swept away.Contrary to what the property prices tell us, we have become a vastly poorer country.